The manager on shift was very nice to let us check in early seeing that we had a baby with us, and upgraded us to a room on higher floor! Good Location. Very near in stations and shopping centers. room was clean. There is a fridge ( although not very cold ) and a safe. Toilet was clean. Comfortable beds and pillow. Conceige was friendly. Excellent location and helpful staff at front desk and conceirg services. 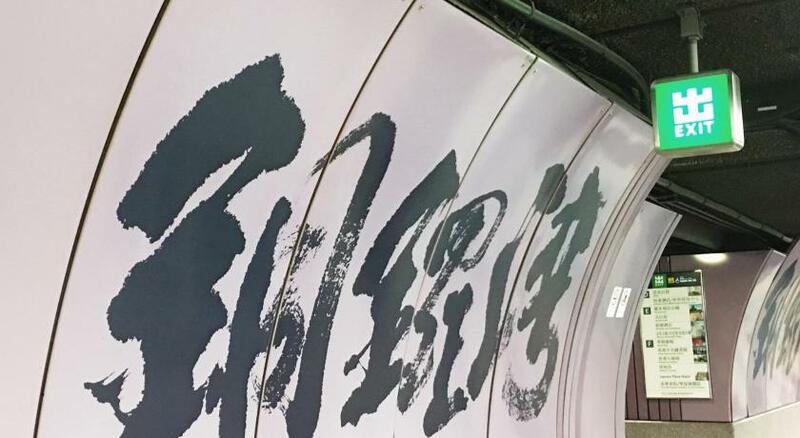 Free shuttle to Hong Kong station. Comfortable beds. The staff were very helpful. The breakfast was delicious and the staff helped me to prepare my plates and drinks because I am . 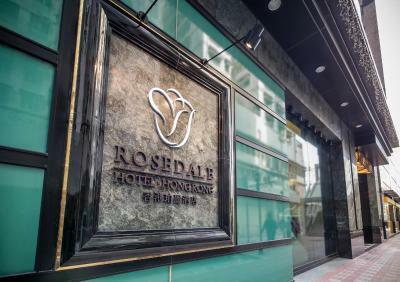 Rosedale Hotel Hong Kong This rating is a reflection of how the property compares to the industry standard when it comes to price, facilities and services available. It's based on a self-evaluation by the property. Use this rating to help choose your stay! 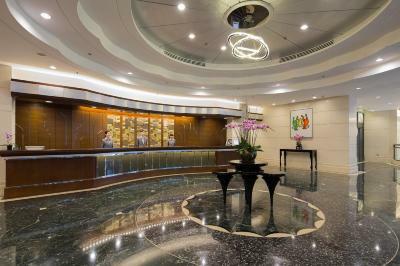 A 5-minute walk from Causeway Bay MTR Station, Rosedale Hotel Hong Kong overlooks Victoria Park and Victoria Harbor. 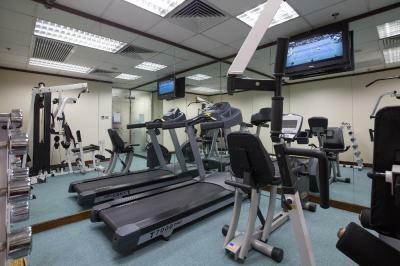 A 24-hour gym, a dining option and free Wi-Fi are among the luxuries it has to offer. 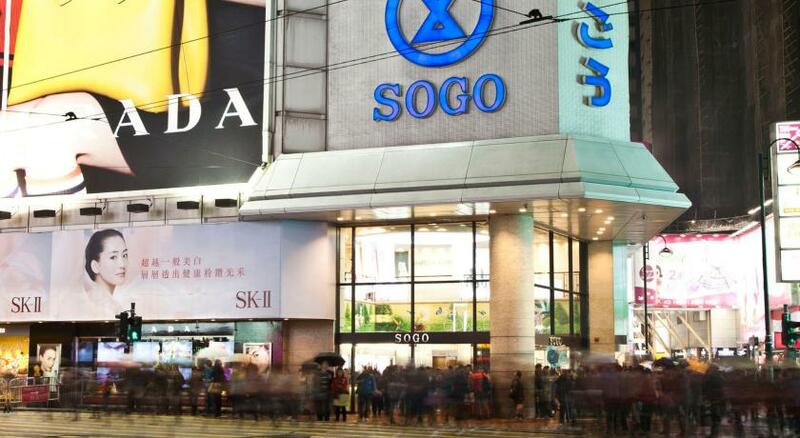 Times Square, Sogo & Hyson Plaza is just within 10 minutes' walk. 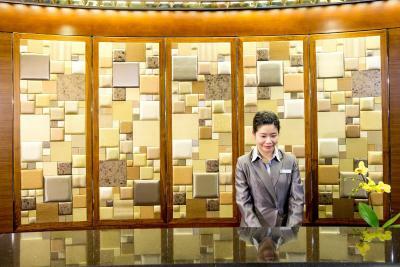 The Hong Kong International Airport and the Asia World Expo Center are only 45 minutes' drive away. The Hong Kong Convention and Exhibition Center is only 5 minutes' drive from the hotel. 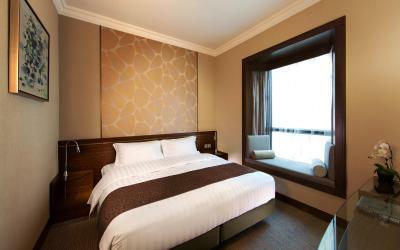 Decorated in soothing warm colors, the air-conditioned rooms offers a flat-screen TV with cable channels and a mini-bar. The private bathroom comes with a bathtub. 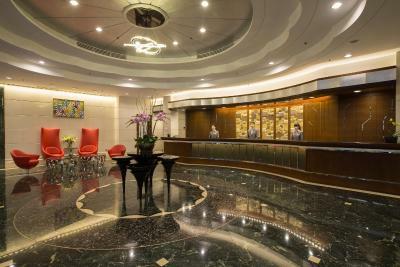 Day trips in and around Hong Kong can be arranged at the hotel’s tour desk, while the business center enables guests catch up on the latest news. Located on 2/F, the Sonata Western Restaurant serves inviting menu of fascinating cuisine and special international themes in buffet style. 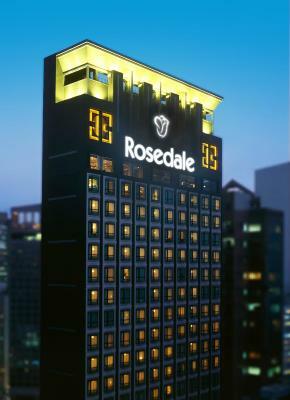 When would you like to stay at Rosedale Hotel Hong Kong? 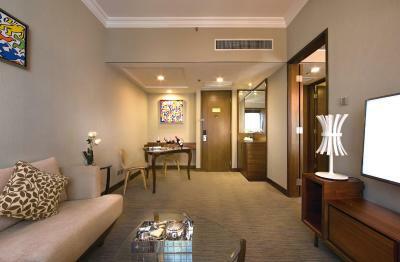 Enjoying views of Hong Kong City, this room includes a flat-screen TV and complimentary tea/coffee making facilities. On high floor and with views of Hong Kong City, this room includes a flat-screen TV and complimentary tea/coffee making facilities. 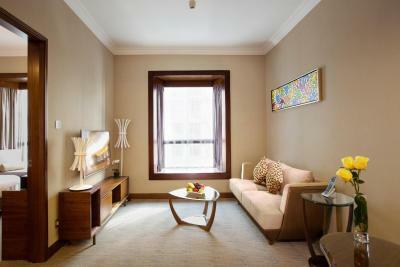 Spacious suite features pantry, tea/coffee making facilities with a separate living and dining area. Includes complimentary first round of minibar. Guests enjoy a free extra bed for 1 child under 12 years old. 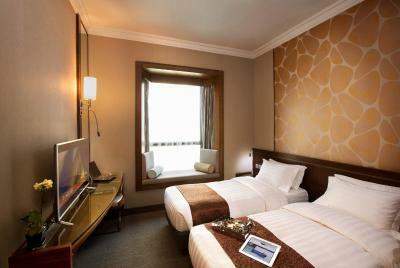 Executive Rooms provide contemporary living spaces in which guests can enjoy city and harbor views of Hong Kong. 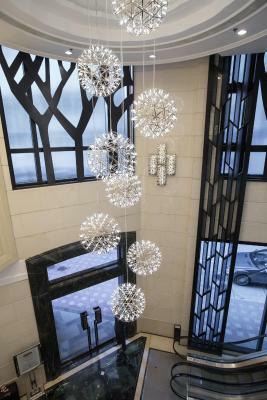 Located on higher floors, it offers free mini-bar for the 1st round. This quadruple room has a mini-bar, air conditioning and view. 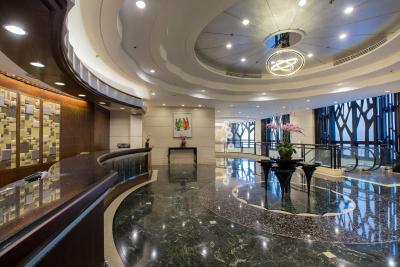 Executive Suites provide a spacious living area, as well as harbor and city views from the upper floors. 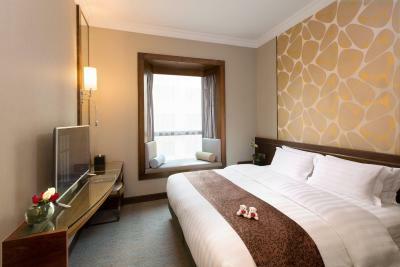 Rosedale Hotel Hong Kong is ideally located in a quiet corner of Causeway Bay, one of Hong Kong’s most energetic shopping, entertainment and business districts. 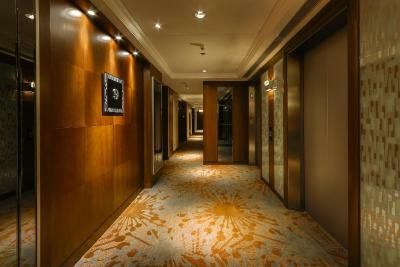 Guests will enjoy the sweeping views and convenient access to Victoria Harbour and Victoria Park. 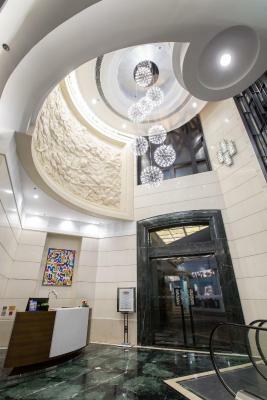 The hotel is within walking distance to important, business, entertainment and shopping areas. The Hong Kong International Airport and the Asia World Expo Centre are only 45 minutes away by car. The Hong Kong Convention and Exhibition Centre is only a 5 minute drive from the hotel. 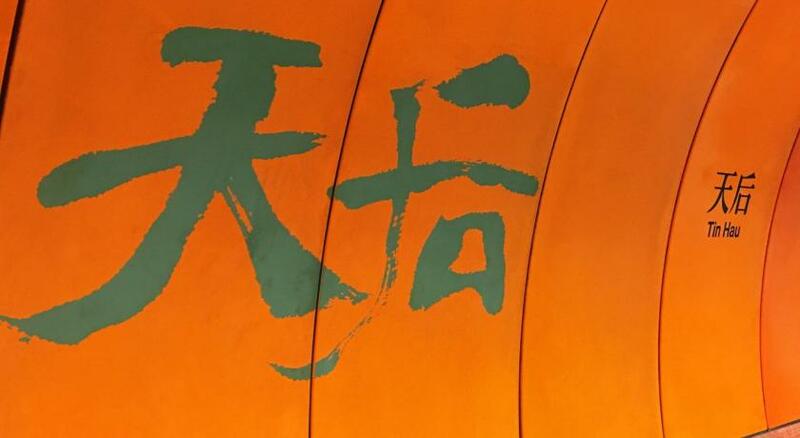 Some of Hong Kong’s most luxurious shopping malls are right at your doorstep. Hotel surroundings – This neighborhood is a great choice for travelers interested in gourmet food, food and clothes shopping – Check location Good location – show map Guests loved walking around the neighborhood! 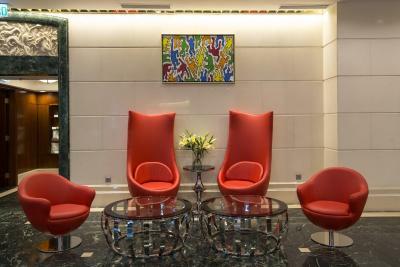 House Rules Rosedale Hotel Hong Kong takes special requests – add in the next step! One older child or adult is charged HKD 400 per person per night in an extra bed. Rosedale Hotel Hong Kong accepts these cards and reserves the right to temporarily hold an amount prior to arrival. Kindly noted Rosedale Hotel Hong Kong does not accept credit card for third party payment. The elevator seems to be very small and the wait time can be a bit long. The location is really great! Friendly check in staff and front desk. Breakfast was amazing!!! Been staying in this hotel for my last 3 visits, very familiar to their location, and offers from convenient stores nearby. Very good place to stay. The room had a very bad air quality. Some kind of gasoline or oil or solvent in the HVAC. I should have asked to have room changed, but thought it would go away. Got to sneezing during the night, so didn't sleep well. I notified management about this in the morning. I hope they address it. No "Western" breakfast items (aka egg dishes). Four star hotel. I had terrific view onto Victoria harbor from 28th floor. Room was very small, not enough floor space to even open a suitcase. Buffet breakfast very basic basic. MTR shuttle bus doesn’t, stop at the hotel but 200m away in the street behind not convenient if you have heavy luggage. Room was clean, for price ok. The bathroom was old and wasn’t very clean. The water in the bathtub didn’t drain well. Carpet looks very old and worn. Bed and pillow feel not very comfortable. This hotel has really good location and nice breakfast, but the bed and pillow are too hard for me. The facilities very limited. Fitness centre out of order during peak time. Lift wait 30 min also one out of order. Dated and lack of maintenance. Coffee shop only open for breakfast, lunch* and dinner, and does not have a bar to relax after a day out. Gym, equipment displaced "Out of order" though out my stay, and it is super small, luckily never meet anyone there. I guess the room rate attract us to stay, and the one way free shuttle bus to the city is a bonus, but it means you have to find other transportation to go back to Rosedale. 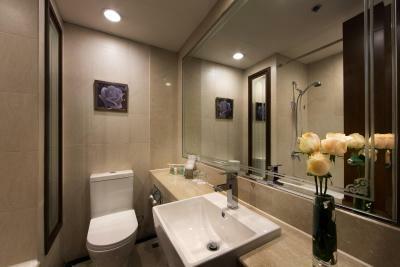 Location is OK, short walk to Causeway bay shopping area and the Victoria park. After all, you can walk to anywhere unless you are not capable to or in a evening dress with high heel. The rooms feel quite worn it and dirty.